Competitive streamlining in a sustainable and customer-driven manner. 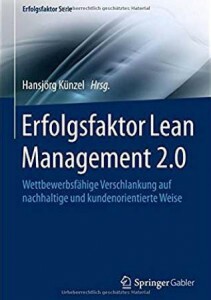 How can the lean philosophy gain a new quality? Production has learnt its lessons from the excessive pressure to cut costs demanded by the traditional understanding of the lean concept. 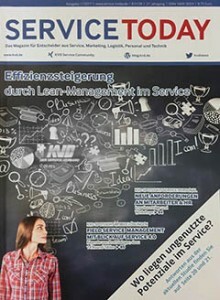 Lean Management 2.0 no longer makes costs the key drivers for change, but customers. Because if structures and processes are repeatedly optimised without creating buffers and opportunities to pull plugs, quality suffers. The publisher of this book recommends that “less is more” because this is the only way of ensuring teams and structures are robust enough to satisfy customers fully. 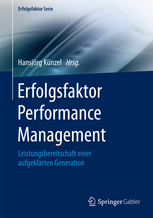 A variety of authors from companies, universities and the consultancy industry provide practical contributions to this success-factor book. Companies that want to set up, develop or enhance their lean management process, will find a rich variety of tried-and-tested ideas. Nothing’s more constant than change. And it’s this stark reality that businesses know a thing or two about. Globalisation is demanding ever shorter periods of time and faster routes to adapt to new technologies, products and services. Due to the consistent challenges presented by the growing pressure from competitors and squeeze on prices, it’s becoming increasingly difficult to motivate staff to perform at a consistently high level. Other factors are well-informed customers. These people are extremely demanding, fully aware of prices due to the internet and prepared to use social media to praise products and services by liking them, or to air any grievances they might have as disappointed customers. Managing these sorts of changes leads to confusion and disorientation. This applies above all when they happen too quickly, aren’t identified in time and any counteraction is taken too late. A lack of direction in terms of strategy and organisation is the result. This in turn upsets staff, customers and shareholders and causes a backlash. Because these stakeholders expect strong management that’s on top of organisational processes and creates the right stimuli at the right time. Faced with these sorts of challenges, popular management control systems reach their limits. They frequently don’t get to the bottom of the real reasons for positive or negative developments in performance, but merely restrict themselves to displaying results. 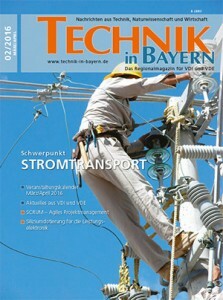 How and where does maximum performance in a company occur? The answer is: people! Companies with a motivated, talented workforce and management team that offer their customers first-class products and exceptional services are in excellent positions. Performance management is committed to constant improvement by creating a sense of team spirit, providing clear structures and information routes, feedback loops and fostering personal interaction that shows appreciation. The condition is bold management of people in the company that allows everyone to adopt their own personal approach by overcoming anxieties, establishing visions and fostering the desire to succeed. The goal is to offer staff and management the means to carry out their jobs independently and successfully. In other words, to provide an environment that young professionals, the so-called millennials, nowadays often don’t just expect but frequently assume. Authors on the subject, from companies hailing from all sorts of different industries, from universities and from the consultancy sector, contribute to this reference guide by providing practical examples. From separate branches or integrated solutions, they give examples of success stories and suggest potential alternatives and approaches. Highly-qualified and motivated employees are an essential and increasingly scarce success factor for every company. Especially in view of the demographic shift. That is why it is more important than ever for employers to be visible to their desired candidates. Creating a profile for the employer brand (employer branding) must become an integral part of the company’s activities if the company is to remain effective both now and for “2020plus”. Because in the future five generations will encounter each other and work together for the first time. This represents an absolutely unique challenge for companies in every sector and of every size. Those who fail to make themselves an attractive employer for high potentials in the war for talents while simultaneously strengthening the relationship with existing employees will have difficulty recruiting and, above all, retaining qualified experts and managers in future. Generation Y – also known as the net generation or digital natives – will radically change the employment world. This will result from both their familiarity with technology and their multitasking capabilities. They also have more demanding standards for the workplace. Career starters confront companies with high expectations regarding flexible working hours and career development. In future individuality, opportunities for self-actualization along with the employer’s flexibility will be more important than security and bonuses. The job should be enjoyable and intellectually challenging. Generation Y has no tolerance for boredom. They expect creative tasks and the corresponding level of freedom to complete them. Even though major corporate brands are attractive, young talents regard classic corporate structures as slow and inefficient. If an employer is not appealing enough, this results in job hopping. Expert authors from companies, universities and the consulting sector along with representatives of generation Y make their practical contribution to this manual. 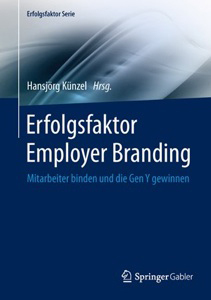 It supports companies with creating, developing or optimizing their employer branding. This requires new USPs to inspire customers! In addition, communication technology and channels have revolutionized the media in recent years, completely overturning conventional marketing concepts. Customers are no longer lulled by advertising messages. They suddenly have a voice and share their opinions! With catastrophic consequences for companies which underestimate the power of Facebook, Twitter & co. or neglect their massive potential. Companies frequently lack clear strategies and concepts along with a professional approach. 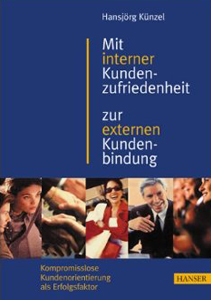 In this completely revised and expanded new edition, experts from renowned German companies and universities provide best practice examples explaining how to successfully creating sustainable concepts in times of global competition and increasing online communication. The customer is king? Anything but! More of an annoyance or a source of complaints – At least that is the way they are often treated. Although many companies claim to be customer oriented and customer friendly, their customers often see them as anything but and feel neglected. The proof: the increasing trend toward hotlines or call centers; modern bastions to create a barrier against annoying customers. Those who want to succeed in a competitive market need loyal customers. Even better: they need to inspire them and acquire new customers. No one can afford dissatisfied customers over the long-term as these customers ultimately go elsewhere. This book presents concepts from renowned companies and institutions from a variety of different fields which all share one goal: acquiring customers, satisfying customers, creating customer loyalty. Not only in theory, but also in successful practice. Only companies which retain satisfied and loyal customers over the long term will prevail against the global competition. However, successful external customer orientation first requires internal customer orientation: from every employee and every manager. 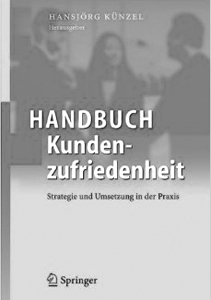 This book describes how to design internal company structures to allow optimum customer orientation. It presents a concept which enables the transformation into a customer-oriented company and takes into account the key factors and conditions for success. The concept builds on a theoretical foundation oriented on practical needs and has been successfully implemented within numerous divisions at major companies. The “Internal customer-supplier relationships” management concept optimises business processes and aligns them with the needs of internal customers. 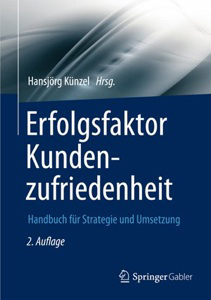 Hansjörg Künzel developed this concept as part of a management science and psychological research project and utilized it at a global industrial company. 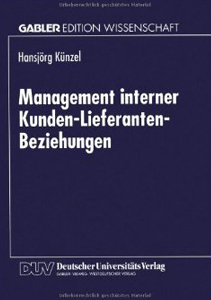 The author presents the theoretical basis of the internal customer-supplier relationship concept and describes how it can be successively implemented within a company. The work serves as a guideline for optimising organisational procedures within companies and with a focus on the consumer-driven company.